On an uneventful Sunday, we decided to bring the kiddos to play. One of the nearest for us was eXplorer kid at Downtown East. 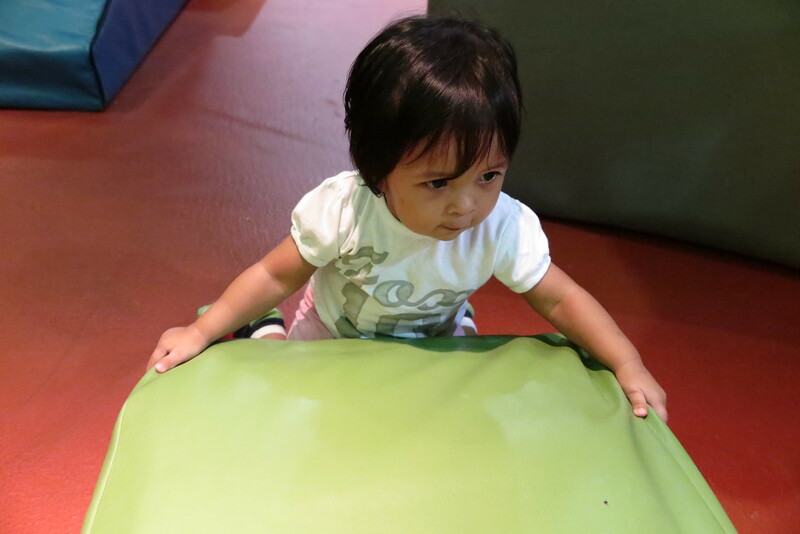 Never been near any of the eXplorer kid playground so we decided to give it a try. 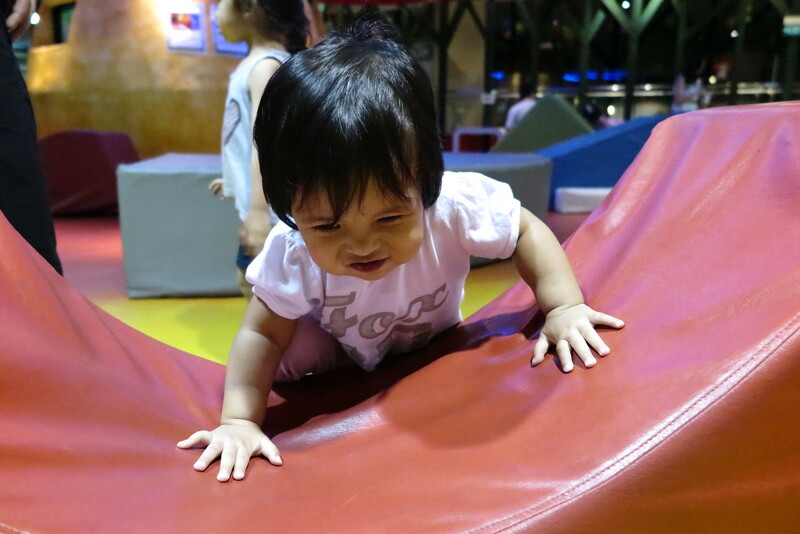 Excited as always when visiting a new playground, we checked in ourselves at the ticketing counter and even registered Ayra for a membership since it was equivalent to the entrance fee for an hour of play. The girls quickly wore their socks and were ready to cheong into the playground! Mummy wasn’t pleased at first sight of the entire place from inside eXplorer kid. The place looks dull and rundown, though place was packed (there was a birthday party happening that day) there were more adults sitting around the padded play area than kids. Guess Zara felt the same too when she didn’t have much things to do. The giant play structure (Mega Play) inside was covered with dust (from where I was looking, at the corners and from the outside of the nets). There was a small rock wall for climbing (The Cliff), but Ayra wasn’t old enough to try it out. 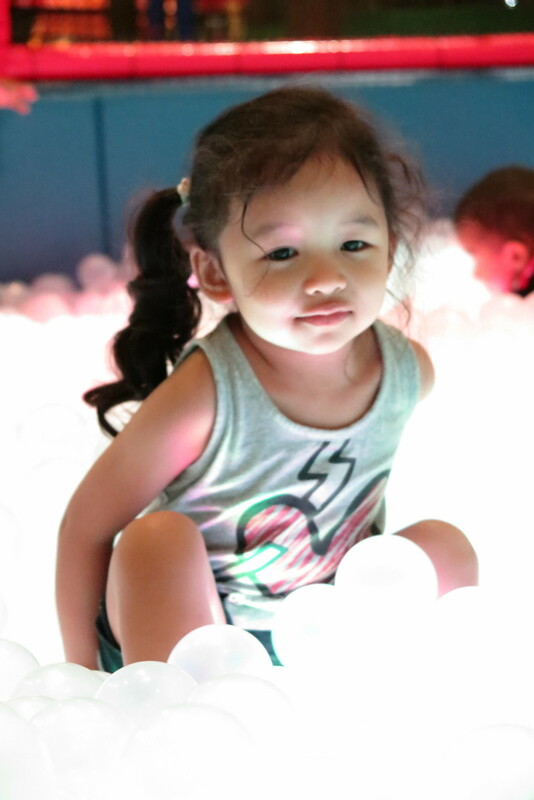 The only place which we had some fun was inside the Lit Ball Pool, but were quickly chased out of it because adults were not allowed in the pool and Zara was too young to be in there alone. 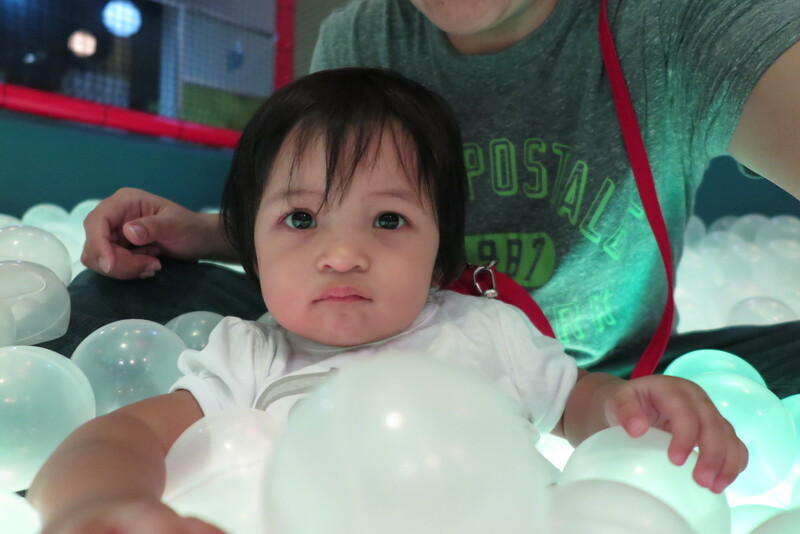 The Toddler Play Area was too just a smaller ball pool and badly lighted, we spent less than 5 minutes there. The other areas were either too loud for the kids (Ball’O’City) or had to pay extra to play (Adventure Highland). There were some craft activities too for kids, should be free cause all the sets were gone when Ayra wanted to do the sand art. So did we do during the 30+ minutes of play inside eXplorer kid? 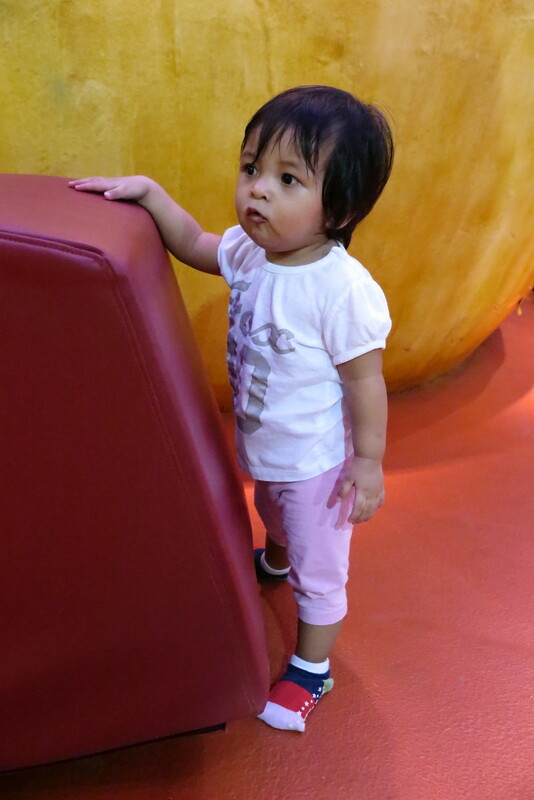 Hope NTUC refreshes their eXplorer kid soon. Its quite a wasted space and seeing the numerous number of playgrounds opening up, business should be great for them after a good renovation. Next Post Oh so cute! Where did she get the perms?